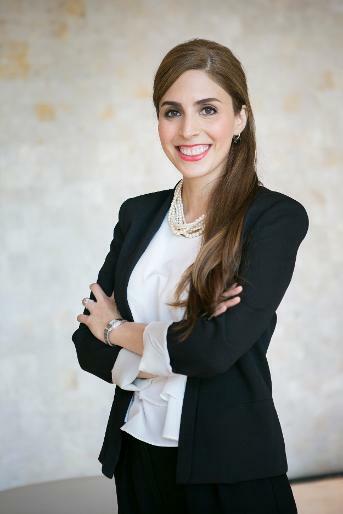 She has graduated with honors from ITESM as an Organizational Psychologist, and has postgraduate studies in Corporate Social Responsibility and a Master in Business Administration (MBA) from the A.B. Freeman School of Business at Tulane University. She was published in The Aspen Institute (www.caseplace.org) and RGSA - Journal of Social and Environmental Gestão in which best social responsibility practices are published. She is a member of strategic organizations such as The Hispanic Chamber of Commerce of Louisiana (HCCL),The Urban Land Institute (ULI), and Xavier University Presidential Advisory Board. She is a Director for Sewerage and Water Board of New Orleans, serves as Chair of the Board of Directors for Fund 17, an organization helping micro-entrepreneurs in New Orleans and as Vice Chair of the Board of Directors for USGBC Louisiana. In the last year she has also received 4 different awards that recognize her work including the IEDC Young Economic Development Professional of the Year, the Biz New Orleans Magazine New & Notables Recognition, the Best Millennial in Economic Development and the “Excelencia” Young Leader Award by the Hispanic Chamber of Commerce of Louisiana, Stevie Award for Female Innovator of the Year, Most Innovative Woman of the Year, Woman of the Year and Female Executive of the Year.